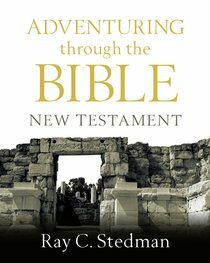 Adventuring through the Bible: New Testament is an easy-to-understand and comprehensive look at the last 27 books of the Bible. Trusted author Ray Stedman provides interesting commentary that explains the Bible in layperson's terms. This handy, color-illustrated paperback is a great tool for digging into and really understanding the Christ-centered history and message of the New Testament. About "Adventuring Through the Bible: New Testament"